Up to now, ventilation was quite boring: a regular flux of air, and a boost mode. Whenever your kitchen was full of smoke, you would have the boost mode activated. End of the story. With the new Nest+Foobot feature, your ventilation system is going to be slightly exciting. If the air you breathe at home is decreasing in quality, for whatever reason, then your ventilation rate will be boosted accordingly. In short, your indoor air will be fresh and safe at any time, because your ventilation controlled by Nest + Foobot will renew the air automatically when necessary. If you follow this blog regularly, you know that pollutants in a house vary a lot throughout the day. It’s not a matter of “my air at home is fresh” but rather “my air at home is fresh now”. Due to different products and human activities being involved, it truly changes all the time. 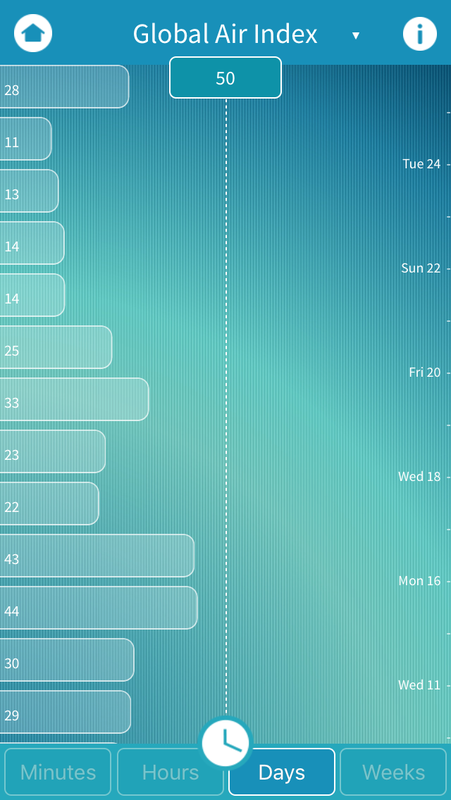 As soon as the indoor pollution rises above the threshold (represented above by the dotted line), then Foobot will tell Nest to boost the air renewal. Your ventilation is about to become very smart, and more than just a cool gadget, it’s going to make your home a healthier place to live, and consequently improving your quality of life. This new features comes out one month after releasing the Foobot IFTTT channel, which allows Foobot to take control of many devices present on IFTTT, like the Belkin Wemo plug, Honeywell and Ecobee connected thermostats, and…. Nest thermostats. If Nest is present on IFTTT, you may ask, then what’s the difference? Well, IFTTT is a great web service, and has faithfully served many people with good service for years. But it’s still a 3rd party, and given the enthusiasm for connected thermostats like Nest, we made the decision to push the interaction one step further. From now on, you can control your Nest thermostat based on Air Quality values, directly from your Foobot app. It’s now available on iOS and Android. IMPORTANT: Foobot can control Nest. 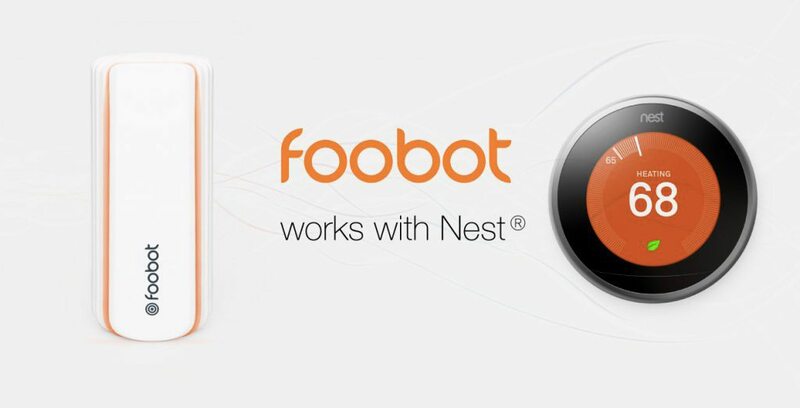 If your Nest is not connected to your ventilation, then Foobot cannot control your ventilation. In US houses with a HVAC system, a typical Nest installation is usually connected to the ventilation. To connect your Nest directly from your Foobot app, follow this step-by-step guide. As a reminder, Nest is one of the market leaders for connected thermostats, and was bought by Google in 2012. Their most famous product is a connected thermostat, which is best known for its sleek design, down to the finest details. Nest’s core value proposition is to offer a beautifully designed thermostat, which sets the perfect temperature and saves energy. Now with Foobot, Nest also guarantees that you breathe a good air at all times. 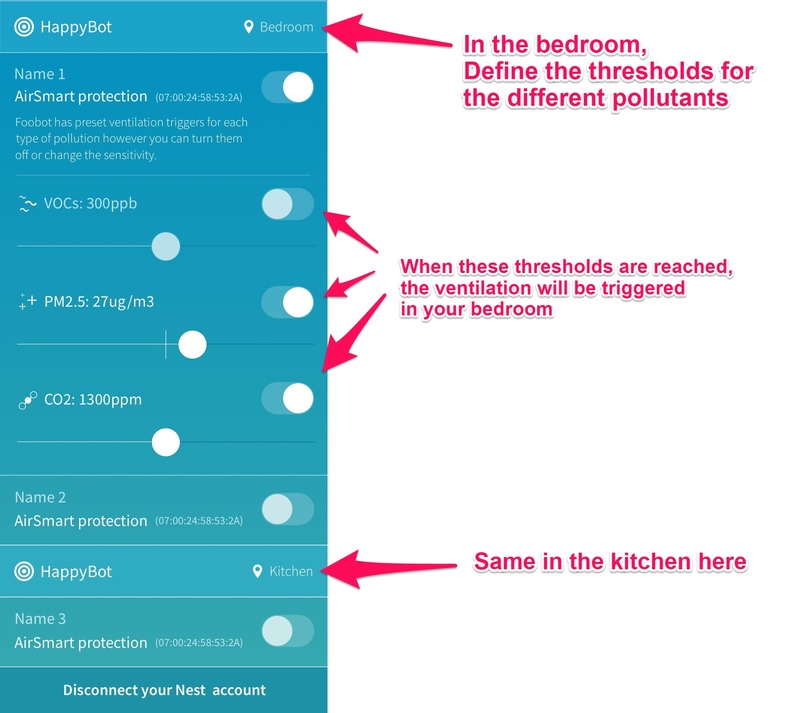 Foobot works with IFTTT and the Honeywell Total Home Comfort app to turn furnace fan on during a pollution event, but how can the fan be set to auto once the event ends?